ROME, February 6 (Itar-Tass) – The settlement of the Syrian conflict will get off the ground if the opposition agrees to hold a dialogue with the government, Russian Deputy Foreign Minister Gennady Gatilov told journalists. “The task is to try to find a political solution to the Syrian crisis and convince both parties to start talks, and to search for ways to solve problems and finally determine the country’s future. If Syrian opposition leader al-Khatib begins understanding that the conflict can be only settled through a dialogue with the government, the matter will get off the ground,” the deputy foreign minister stressed. According to Gatilov, one of the reasons for being no progress in the Syria settlement is that “our Western partners do not exert any effort to work with the opposition”. “We work with the opposition and the government. Such approach is recorded in the Geneva communique. 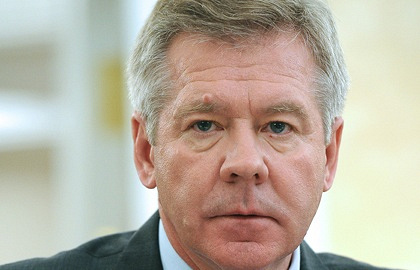 We do not back [Bashar] al-Assad and we favour the fair political settlement,” Gatilov emphasised. Russia hopes that due to the changes the U.S. Administration “will stop becoming obsessed with al-Assad’s personality and not make his resignation as a condition for any contacts”. The deputy foreign minister said the Syrian government contributed to releasing abducted hostages in Syria. There were two Russian citizens and one Italian among hostages.